Games that are worth your attention. This whimsical roguelike puzzler is one of the toughest and most addictive games you'll play all year. These days, keeping up with games can be a full-time job. So how do you separate the signal from the noise, the wheat from the chaff, the Temple Runs from the Temple Jumps? Allow us to help by regularly selecting a game You Should Play. 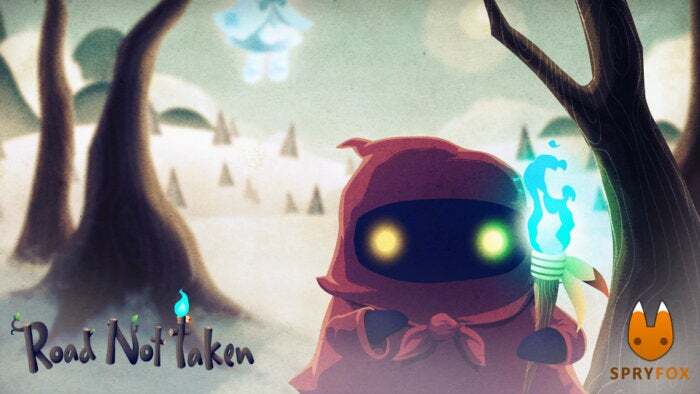 If you’re looking for mystery, adventure, and creative but surprisingly tough puzzles, you’ll find it in Spry Fox’s Road Not Taken. This premium roguelike puzzler is easy to pick up but has a steep learning curve— each new puzzle element is frustrating and intriguing at the same time. 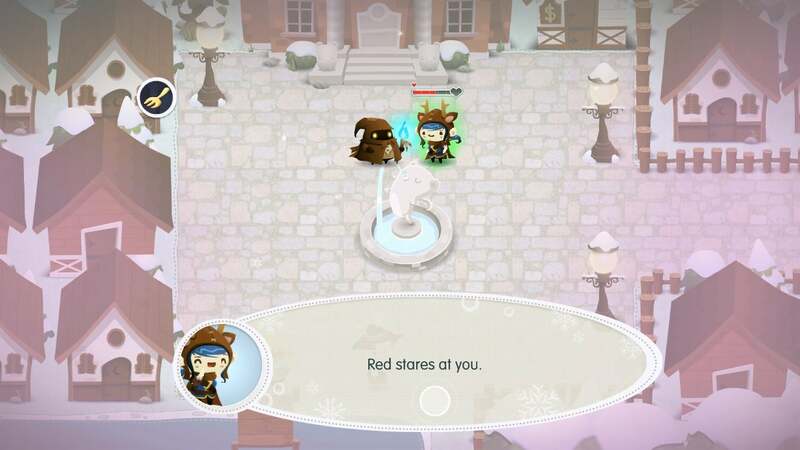 You play a mysterious hooded figure who stumbles upon a village in the middle of a snowstorm (by taking a Frost-inspired Road Not Taken, naturally). Each year, the villagers send their children into the nearby forest to pick berries…and each year all of those children inevitably get lost. Your job is to venture into the woods, find the children, and reunite them with their parents by solving a variety of turn-based puzzles. Find and rescue children while avoiding dangerous wolves and obnoxious Triple Town bears. You can interact with items, creatures, and characters in the forest in two ways: By picking them up and throwing them, or by picking them up and moving with them. Picking items up and throwing them will cost you no energy, while picking things up and moving with them will cost you energy for each space you move. You have a limited amount of energy and when it runs out… you die. So, you’ll need to plan your moves carefully (while avoiding dangers and obstacles in the forest). 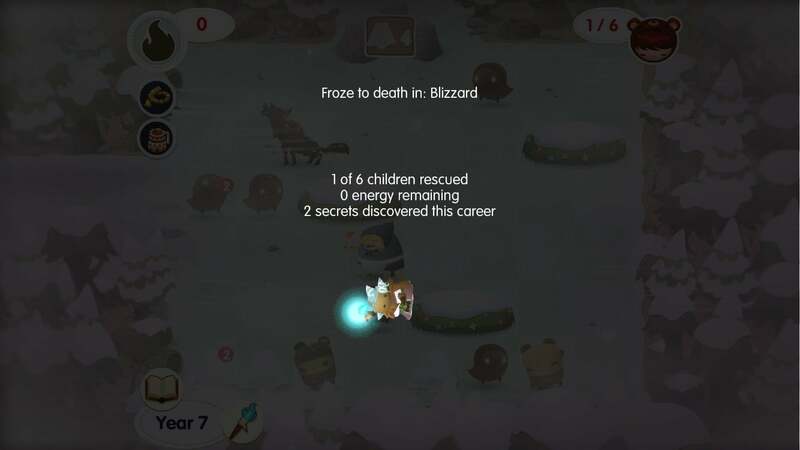 The goal of the game is to survive 14 winters of kid-saving without dying. New puzzle elements come into play with each year—the game gets hard quickly. 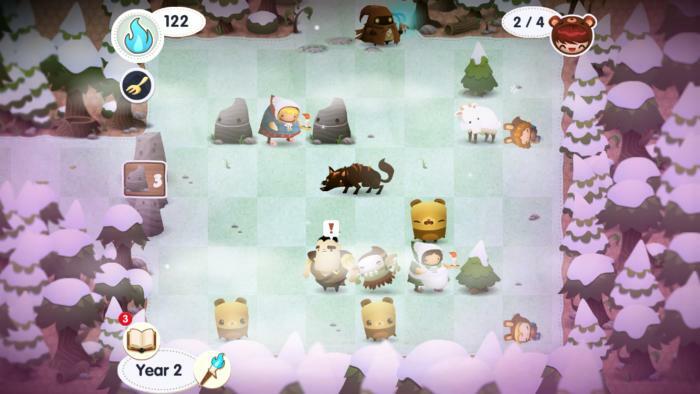 It’s beautiful, whimsical, and totally adorable: If you’ve played any of Spry Fox’s previous titles, you know to expect top-notch graphics and adorable characters—and Road Not Taken delivers on both counts. The game takes place in two main areas: A small village, which is full of colorful characters and acts as your home base; and a wintry forest, which is where you’ll spend most of your time, solving puzzles and rescuing lost children. Both areas are beautiful—even the cottages and trees in the background are full of detail and texture. The village is beautiful and detailed—and it’s not even where the game takes place. But it’s not just the scenery that’s gorgeous—as you play Road Not Taken, you’ll come across a number of characters. You’ll meet NPCs you can befriend, awaken lost children that need rescuing, and, of course, run into all sorts of spirits and animals that inhabit the forest. In addition to solving forest puzzles, you’ll also cultivate relationships with NPCs. The characters are drawn in Spry Fox’s signature cartoonish style, which means they’re adorable and impressively detailed. 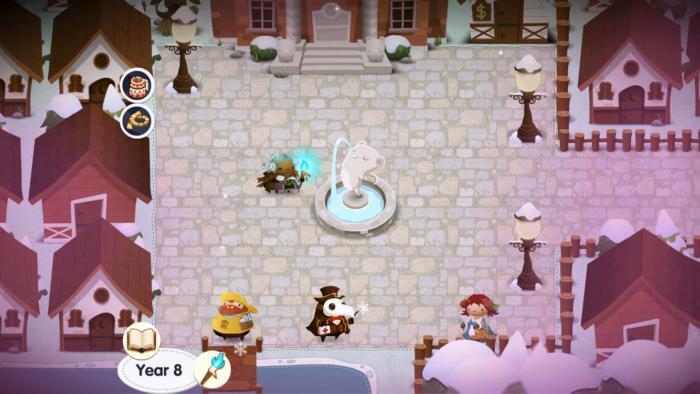 It’s clear the studio spent a lot of time perfecting the visuals so you’re not just looking at cookie-cutter characters—even the deer have multiple variations (in coat pattern and antler size), and each character makes tiny movements that emphasize the living, breathing nature of this game. There’s lots to discover: Road Not Taken has somewhat of a storyline, but it’s not the kind of game you’ll finish quickly. Each level is procedurally generated, so you’ll never play the same level twice—not even if you’re replaying a level or starting the game from scratch. That doesn’t mean you’ll get bored, though, because each “year” gets more difficult as new elements and puzzles are introduced. There are 213 secrets for you to discover. This game is all about discovery. 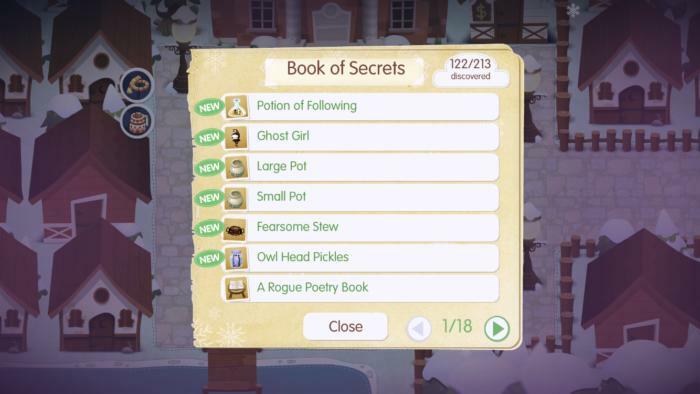 When you encounter a new element, you can bump into it to “discover” it and log an entry in the game’s “Book of Secrets.” As you figure out how different elements work together by tossing them at each other or moving them near each other, the Book of Secrets will be automatically updated with new “recipes.” You can consult these recipes at any time if you need to remember how to create certain items or how two objects will interact with each other. The secrets you discover will help you in your quest—if you need a certain item that isn’t on the board, these recipes will show you how to create it. If you’re looking for a game that will give you hours and hours of playtime, this is it. 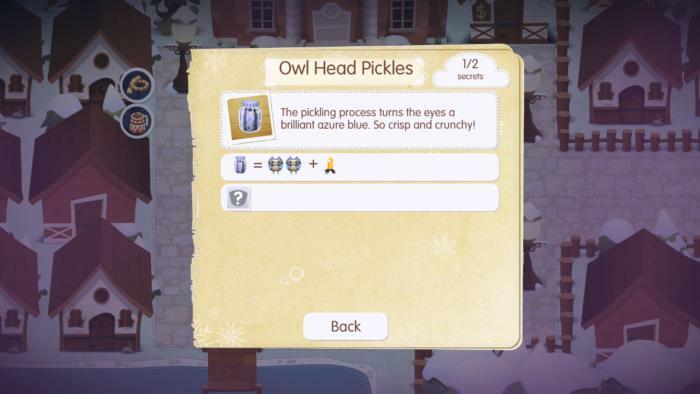 On top of the procedurally generated levels and 213 different “recipes” to discover in the Book of Secrets, Road Not Taken also features three different styles of gameplay: “normal” difficulty (if you die, you’ll retain any items you’ve received and you won’t have to start over at year one), “hard” difficulty (if you die, you’ll have to start over from the beginning), and a timed mode that gives you four minutes to rescue all the children. It’s definitely not easy: The other reason you’ll spend hours and hours playing this game is because it gets very, very challenging. The first few years are relatively easy—there are a variety of puzzles, but they mostly involve moving objects next to each other to open doors and carefully managing your energy level as you try to save all the children. But as the years go on, more objects and puzzles are introduced, and soon the game becomes a heady strategy game as you try to do things like move deer next to each other before a wolf eats one, or fling a lost child toward its mother before it’s overtaken by a mysterious ghost portal. As I mentioned earlier, the levels in this game are procedurally generated, so no two are the same. But just because each level is generated in a way that makes it solvable doesn’t mean that it will stay that way—if you make too many moves in the wrong direction, or if you end up stuck behind a rock or a stubborn imp, some of the objects you need to complete the puzzles may end up disappearing from the scene. Wolves will eat other animals, axes will chop down trees and shrubs, and spirits will disappear (and steal your energy) if you walk through them. You’re probably going to die. Multiple times. If you end up in a room with doors that are impossible to open because of how the chips have fallen, you may need to bring over objects from a different room, craft objects by combining other items (using the recipes from the Book of Secrets), or leave the forest without rescuing all of the children. If you end up stuck somewhere, you can always teleport back to the mayor in the first room of the level and try again. If you run out of energy, you’ll die—but if you’re playing on normal mode you’ll be reincarnated in your cabin without losing any items or years. 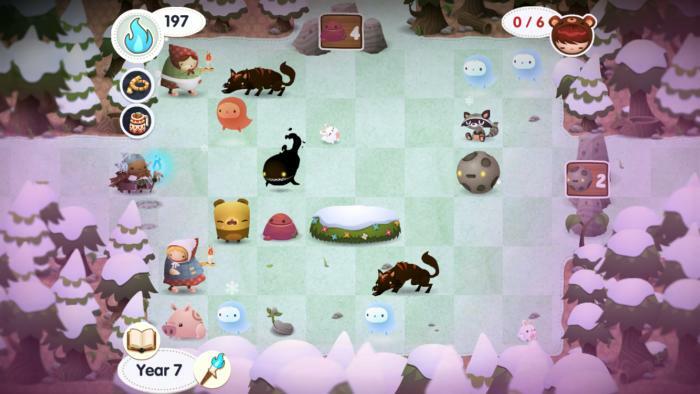 Needless to say, this whimsical roguelike puzzler is one of the toughest and most addictive games you’ll play all year.